ANYHOW, now over to some very important Jamaican business!! Marlow’s Mellow Mood relaxation drink (sort of the opposite of an energy drink and gosh it’s so tasty, especially the green tea and honey variety, not an endorsement but a true testimonial!!) has come to the UK, and they kindly sponsored a fantastic regeneration event on 29th July at Bob Marley Way. Artists new (Devlin, Lady Leshurr, Maverick Sabre and up and coming sonsgtress Aruba Red) and old (Soul II Soul) performed, there were some scantily clad dancers with super cool feather headdresses and I got to eat curry goat for the first time in months! Win! It was a great day despite heavy rain. 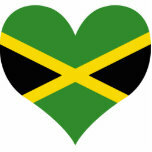 Being Jamaican (or half haha) has never been cooler thanks to the recent Olympic triumphs of Bolt, Blake et al. and 50 years of independence. Next weekend there’s going to be another event at Brick Lane’s Vibe Bar called the “Relaxation Generation Mini-Festival” which looks awesome and tickets in advance are just a fiver; unfortunately I’ll be away in the British countryside otherwise I’d be right there…there are live DJs all day until 3am and they have all kinds of artists from Dynamite MC (jungle to hip hop) to Natty (roots and reggae artist with excellent dreads) to legendary MC Rodney P. Anyway, more info is here! Hannah J Davies: You used to be in the [80s and 90s band] Melody Makers with your brothers and sisters…when will we be hearing more from you and them? 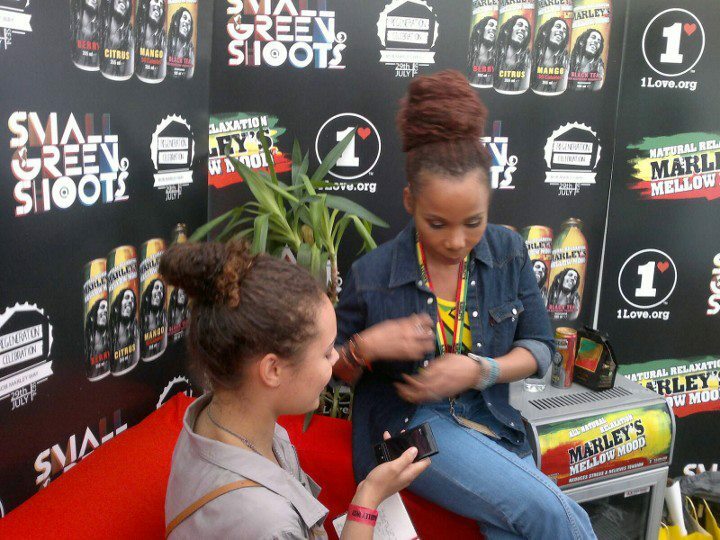 Cedella Marley: Hopefully next year we’ll do some type of reunion. CM: No, not really, I mean I have three kids now so having time to spend with them is something I cherish…but its time for me to get back on the road! HJD: Are they getting a bit older now? HJD: Would you like it if they followed you, their famous grandfather and the rest of the family into the music business? CM: I would love for my kids to be doctors and lawyers, but if they get into music that’s good…but I’ve always reminded them that no matter what, always have a back-up plan. The business has changed, it’s the not the same. You really don’t have to have talent to be a number one artist, so always have a back-up plan. HJD: Who on the music scene now do you think is really talented, who isn’t just autotuned? HJD: Do you think you could do a collaboration with her? CM: Oh, definitely! I could do something really wicked with her. HJD: Adele if you’re reading this… you also run the Tuff Gong record label as well, what’s an average day running that like? CM: It has to do a lot with distribution, we’re not the kind of the company that signs artists simply because like I said the business has changed, you don’t need a record company anymore to become a great artist. You can put out your own record on iTunes and make a lot more money, so we’re really on the distribution end. 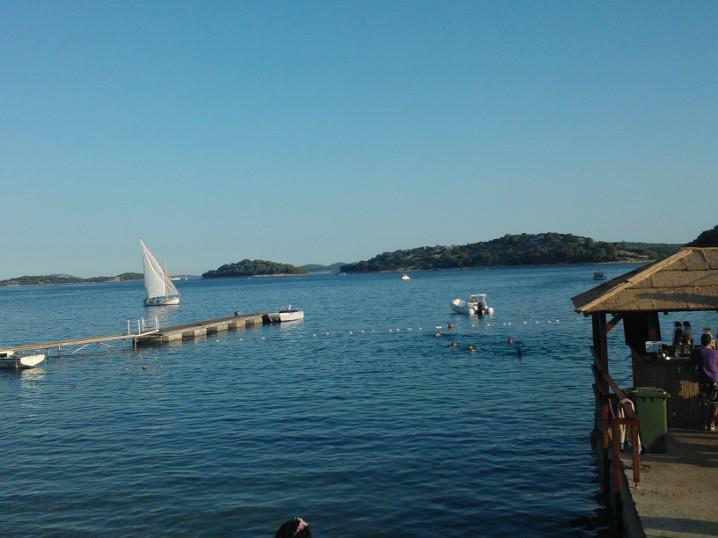 It’s hectic but its good…. HJD: Did you discover anybody in the past? CM: I had this one really cool artist whose name was Ivan, and I think he went on to tour with The Wailers for a while, so we have some really cool talent out there. I went home and, weirdly enough, my mum was playing a Bob Marley CD. He really is an icon and despite my lack of knowledge on his life (am yet to watch the Kevin Macdonald documentary released earlier this year), the event left me intrigued…and assured that his legacy is in the right hands*. Books: constantly being stretched beyond their screen potential? The film industry: a fanfare of artistic vision and dirty tricks, hidden behind a Spielberg-shaped, Black Orchid-scented miasma. Also responsible for sexing up its bookish cousin, the novel. Twilight: Breaking Dawn (756 pages) is a perfect case in point. It seems logical on the face of it; part one of the film version due for release in November is 117 minutes long. Here are some unscientific calculations: assuming the second part is 117 minutes too, we now have 234 minutes to cover this near 800 page book…except that movie scripts are about 250 pages each. Double this and we now have 500 pages of script. 234 divided by 500 gives us approximately 0.5 minutes per page. Luckily this is the perfect amount of screentime needed for 500 pages of script…it just doesn’t explain why we needed two lots of 250 in the first place. In the world of SBISMFYLC, however, slow-moving plots, K-Stew’s awkward eye rolling, sexual tension that extends off-screen and an oh-so-current soundtrack combine to make a second part feasible. 2010’s Eclipse had tunes from Cee-Lo and Vampire Weekend, so expect minutes to be whiled away with wolf pack v vampire battles to the sound of the upcoming Ashanti album. The Hobbit is probably a more serious case of SBISMFYLC, however. Lord of The Rings was a trilogy because there was enough material to make three standalone films in that tome. The Hobbit, conversely, is less complex and hardly resembles a doorstop at just over 300 pages. How will it fare as three separate outings? Will there be an entire, string-laden montage devoted to Bilbo bringing cakes and ale and chicken up from his larder? The trailer looks stunning but the point remains…do we really need a Tolkien-themed case of SBISMFYLC? Ditto the final Hunger Games film, Mockingjay, which will be split into two films in 2014 and 2015. Imagine that…what would, for example Shawshank, have been if Andy (Tim Robbins) had been tooled with a toothpick instead of a rock hammer for 60 minutes of literal tunnel vision? Will we ever return to the days of one instalment wonders, or have excessive book adaptations lost their dignity as they bolster Hollywood’s coffers? A 14 year old can fall in love with the entrancing music of a the beautiful singer uplit by the bright bulbs of celebdom. Like many artists before her, Aaliyah will release her next album from beyond the grave. The r’n’b singer, who died in 2001 left behind unreleased material, which will form a posthumous album. Drake, a man who never met Aaliyah when she was alive, has been named as the producer. It’s such a shame in my opinion that the Blackground record label (founded by Aaliyah’s uncle) have recruited Drake over her friends and collaborators Missy Elliott and Timbaland. These are the people along with her immediate family who have the insight to make the right decisions without focusing on the PR aspect of any future release. Here’s the 411 on Drake’s strange ‘relationship’with Aaliyah: he sampled her music on many occasions including his new track ‘Enough Said’; he has a picture of her on an earpiece he wears for concerts and has tattoos dedicated to her – including a portrait of her – as well as mentioning her in as many interviews as possible. Personally, having read this saccharine address, I think Drake should leave her legacy to those who knew her. Using her music on [aforementioned new song] ‘Enough Said’ on which he slags off Chris Brown, swears and makes references to such profound topics as, erm, being rich and Mario Ballotelli seems disrespectful and shallow. Aaliyah didn’t live in 2012, she didn’t live to see the advent of autotune or even the fruition of online music. She wasn’t a Youtube pioneer or someone discovered on MySpace; she didn’t live to see the age of online beef disseminated via Twitter or kids listening to her music on iPods or even iPhones. The world she inhabited wasn’t wholesome, but the relationship between talent and exposure in the music industry has experienced a schism in the intervening time. Her voice and her talent were an oasis of calm, but if she was discovered today would Aaliyah’s music really be allowed to retain its identity or would she be simply writhing around a stage? Luckily it seems that there is family opposition to this release – enter stage left the singer’s brother Rashad, who posted on her Facebook fanpage to report that ‎”there is no official album being released and supported by the Haughton family”. There are also rumours on the Facebook page of a biopic (again, an unofficial project which Rashad is opposed to) – it seems that everyone thinks they know what’s best for the late singer. Overall, the posthumous material doesn’t need the ego of this noughties fanboy to succeed…although maybe I’ve been too quick to berate him. After all, we all have idols. The difference is that maybe being a celebrity has made Drake feel as though he could intrude into someone’s history to feel connected to them; it’s forced, insalubrious, shallow. It’s the 15 year old mourning the girl off the stereo with friends at school who loved her too or, as would happen if Aaliyah had died in 2012, sending messages into the online ether. Notes about how “crushed” they feel, about how much they “loved” her, pledges and pleas which begin with that same repeated “I” which binds together these fans like a parallel family. The online Winehouse troupe or the grieving Jackson contingent numbering into the millions. To incite the Xzibit meme, “yo dawg, I know how much you like emotion, so I put an emotion in your emotion so you can emotion whilst you emotion”. If you think this meme is inappropriate in this context, then perhaps I can persuade you to rethink “celeb grief”. It’s an accessible way of remembering the brevity of life…it won’t ever be the same as a real message from a real friend, it will be loaded with different feelings and all of those simple misinterpretations and theories that fans can hold onto. Hence the popularity of conspiracy theories. As a fan of Elliott Smith I have come across so many bloggers and Tweeters claiming to have proof that he was murdered by his girlfriend Jennifer Chiba; it’s a fantasy propagated by the same people who probably jumped on the Courtney killed Kurt bandwagon, too. It’s comforting, it’s effortless civilian justice made up of gifs and what ifs and fingerpointing and shrines. “Tim[berland] and I carry Aaliyah with us everyday, like so many of the people who love her. She will always live in our hearts. We have nothing but love and respect for her memory and for her loved ones left behind still grieving her loss. They are always in our prayers.” – that quote comes courtesy of Missy Elliott. Without her or Timberland a teenage Aubrey Graham quite possibly would never have come across Aaliyah Houghton and the album which they wrote and produced for her, “One In A Million”. The final word goes to US author and journalist Michael Joseph-Gross, who once said that “fandom is less like being in love than like being in love with love.” Whatever Drake’s feelings and intentions, whether he is using Aaliyah as collateral, leverage, a spiritual guide or a marketing tactic…his strange plea of “always and forever” is deluded in the here and now.